Our princess was having a blast posing for pictures for her daddy this weekend. Does anyone know where our baby has gone? She has truly blossomed into an amazingly independent little girl these last few months. Where does the time go? There are no words to express what a true blessing it is to be her parents. 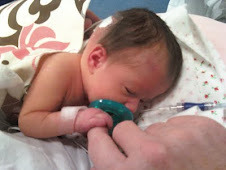 My name is Annabelle and I was born on July 29, 2009 into a loving family. I am very lucky to have two older brothers (Jack and Benjamin) who LOVE me very much. I was born with Spina Bifida and Hydrocephalus. I had two major surgeries during my first week of life. My back closure surgery was the day I was born and I had a shunt inserted into my head 5 days later. I have since had 4 shunt revisions. If you have questions about Spina Bifida or my condition, please feel free to e-mail my parents at: summersfamily09@gmail.com. Your thoughts and comments are much appreciated.